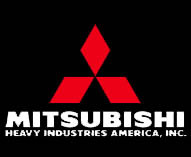 The Mitsubishi Gear Technology Center was established in 1998 to promote Mitsubishi gear-manufacturing equipment. We offer a complete line of gear manufacturing machines including gear hobbing, gear shaping, gear shaving, gear rolling, gear honing, and gear grinding machines. Machines. From new machines that benefit our customers financially by reducing waste and energy consumption to machines that ease environmental impact by operating coolant-free, we're delivering truly innovative solutions at every turn. With gear hobbing, shaping, shaving and grinding machines to suit your unique needs, we will help you find your new gear.